I don’t normally review books, but I’ll definitely make an exception when one of my whiskey/distillery reviews is included within its pages as it is with The New Single Malt Whiskey. What makes the book even more special is that it’s an extraordinary compilation of some of the most and best whiskey information ever included in print. 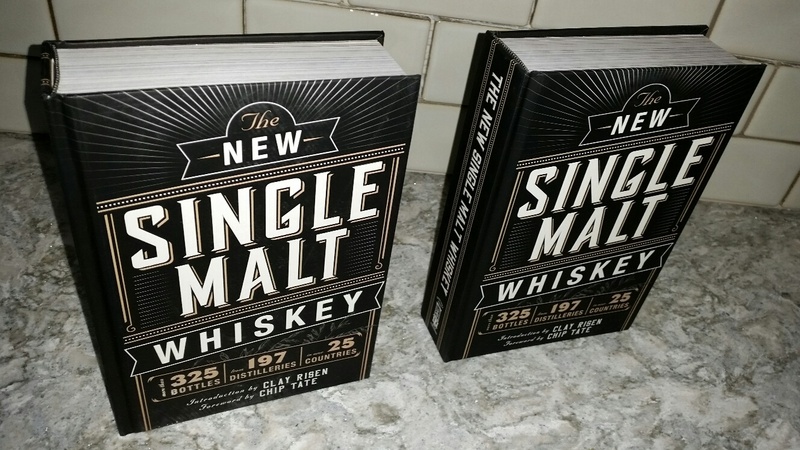 At over 600 pages, the tome packs in tons of generalized whiskey intelligence and even more bottle and distillery reviews. With the lowdown on whiskey from all over the world, it’s also nice that the publisher – Cider Mill Press – is located right here in Maine. “So what knowledge will this book dispense upon me?” you ask. The book includes articles from many writers, starting with a number of them focused on how whiskey is made and how to drink it. The following portion dives into a handful of interesting cocktail recipes. From there, readers are taken to the meat of the book to focus on reviews, tasting notes, and information on specific bottles and distilleries from 27 countries. Interwoven throughout are special sections which bring the reader a detailed who’s who and what’s what of the whiskey stratosphere. If you’re looking for a whiskey book that covers all the bases, this is it for sure. I’m delving deeply into it now and already know the difference between “whiskey” and “whisky”, learned that Catholic Guilt is also a cocktail, and discovered the next three bottles I absolutely must try. In case that’s not enough of a reason to buy, I wrote the entirety of page 548, which may or may not be the best page of them all. It’s available on Amazon and likely at other merchants too. Check it out for yourself, buy it as a holiday gift for the whiskey lover you know, and enjoy feeling smarter the next time you sip a bottle of single malt. Ahhh…whiskey. This entry was posted in Portland, ME food on November 13, 2016 by peterpeterportlandeater.